Hispano Suiza, as one of the car brands that triumphed in the early 20th century. 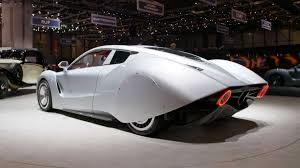 As well known, Hispano Suiza is one of the Spanish automotive brands that has been established by Damián Mateu and Marc Birkigt in 1904, and finally closed in 1968. But now, there are parties who are trying to revive this brand by building cars in a modern style, refurbished designs and of course fully electric powertrain. This certainly creates a legal dispute which ultimately involves the court to decide who is most entitled to this brand. Who are they, the parties are being in fighting for the right to use the Hispano Suiza brand legally? The first party is an automotive manufacturing company based in Switzerland named Hispano Suiza Automobile Manufacturing AG. This manufacturer claims to have built a supercar named Maguari HS1 GTC on an Audi manufacturing base. 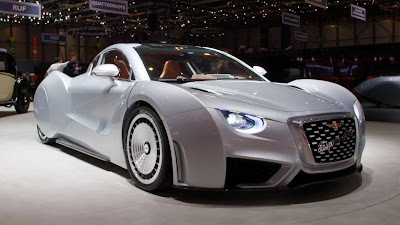 The second party is Hispano Suiza Cars, a Spanish manufacturing company that has also succeeded in building a typical grand tourer electric car. 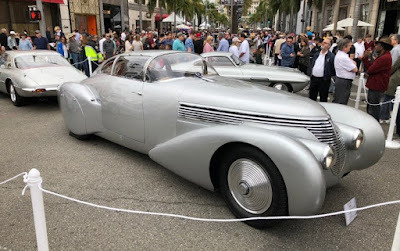 This manufacturing company is based in Barcelona, ​​Spain, and is owned by Miguel Suque Mateu who still has a kinship relationship (the great-grandson) of the founder of Hispano Suiza, Damián Mateu. Mateu has the dream of realizing an electric car to the world market. At that time, Hispano Suiza had produced an electric car prototype that had never been produced. 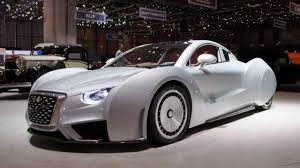 Then he planned to build the newest Hispano Suiza car since 1937, with the name Carmen Electric GT. By carrying out a great fender style, like the one circulating in cartoons. The exterior appearance of this car was inspired by an Art Deco car in the early 20th century, namely 1938 H6C Dubonnet Xenia. While in the interior the designers choose quality leather, and a simple dashboard is equipped with a digital instrument cluster. In the development of Carmen Electric GT, Mateu was assisted by Saoutchik, a French coachbuilding company responsible for design, then QEV Technologies, a manufacturer that specialized in making electric powertrains and having relations with the Mahindra Formula E racing team. By using carbon fiber body, Carmen Electric GT looks rigid and lightweight. While the powertrain is capable of spraying up to 1,000 hp of power, and accelerating from 0-62 mph below 3 seconds. While the highest speed is recorded at 155 mph. Carmen has a battery of 105 kWh that can carry this car running up to 250 miles. The plan, Hispano Suiza Carmen Electric GT will be produced in Barcelona, ​​and only 19 units will be built. While the price offered reaches $1.7 million, and the first shipment in June 2020. But there is something quite surprising, when Hispano Suiza Carmen Electric GT has been part of a series of prototypes introduced at the 2019 Geneva Auto Show.